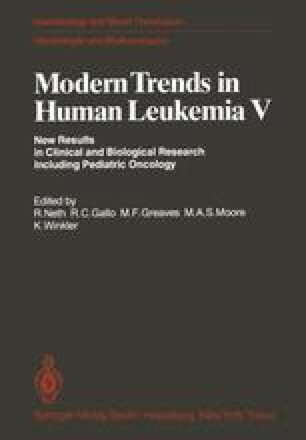 Type C retroviruses are associated with naturally occurring leukemia-lymphomas in many animal species, including man (see Gallo et al., this volume), and they are also the first tangible tools for approaches to our understanding of the molecular mechanisms of cellular transformation (see Dues-berg et al. and Vande Woude et al., this volume). While most retroviruses isolated in nature are slow acting in disease induction (chronic leukemia viruses), a subclass of viruses, including the sarcoma viruses and acute leukemia viruses, cause disease rapidly in vivo and transform appropriate target cells efficiently in vitro. These properties are conferred on the viruses by a viral transforming (v-onc) gene. There are now at least 17 different v-onc genes identified in retroviruses isolated from avian, rodent, feline, and primate species. All viral onc genes are derived from normal cellular genes (c-onc genes) of their host of origin. C-onc genes share several common features: (1) they are highly conserved among all vertebrates and some are conserved even in nonvertebrate species. For example, sequences related to a few onc genes have been identified in Drosophila , and an enzyme related to pp60 src of Rous sarcoma virus has been detected in sponge (M. Schartl, personal communication). (2) With few exceptions, the homology between c-onc and v-onc genes is interrupted by nonhomologous stretches in c-onc, tentatively referred to as introns. (3) Most c-onc genes have been found to be expressed at least at some stages of normal cell growth, suggesting they are functional genes in normal cellular processes.